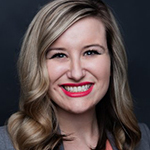 Kara Hauck, most recently communications director for the House Republican Conference and its chair, Cathy McMorris Rodgers, has joined Qorvis as VP-PA.
McMorris has just won her eighth term to represent eastern Washington but decided to step down as the leader of the Republican caucus. Liz Cheney of Wyoming is the new chair. Prior to working for the HRC, Hauck was communications director for former House Speaker John Boehner's political office and press secretary for Steve Stivers of Ohio.